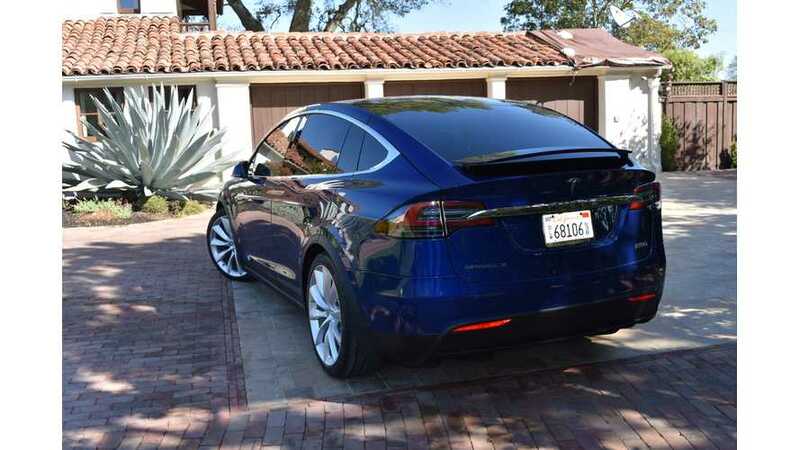 *Editor's note: Mark Templeton kindly allows InsideEVs.com to post his long-term Tesla Model X review/overview. 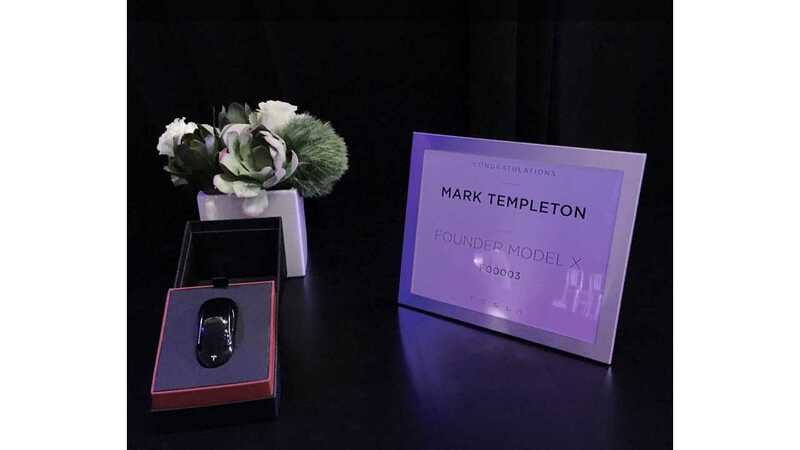 All text and images are the work of Templeton, owner of Model X Founder's Edition VIN #3. Our thanks go out to Mark for allowing us to share this article and photos with our readers. I've now had the X since Sept 29 and have enjoyed every thrilling moment. 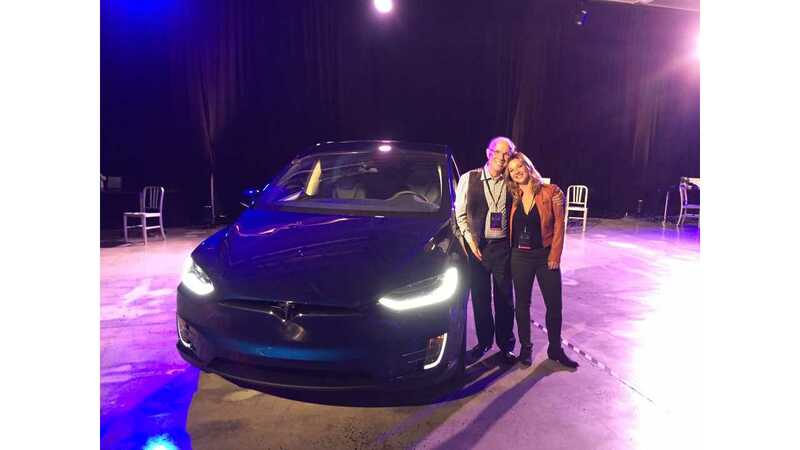 I thought I'd share photos and videos of some of the experiences I've had since Elon handed the key to my daughter and me at the Model X Launch Event. The album is posted here. The first question I get is "how did you get VIN3?" Truth is, I've always been "the first kid on my block..." and Tesla is no different. 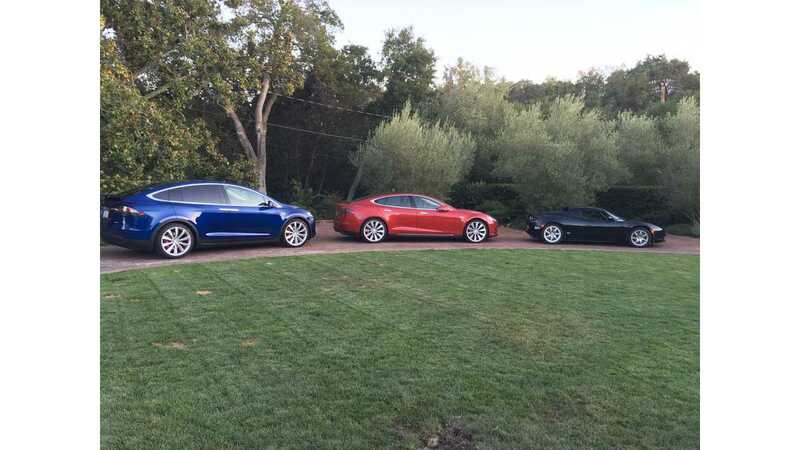 I've been blessed to get Roadster VIN 16 and Model S VIN 20 as well, getting an early, first-hand experience with the Tesla vision for all-electric transportation. 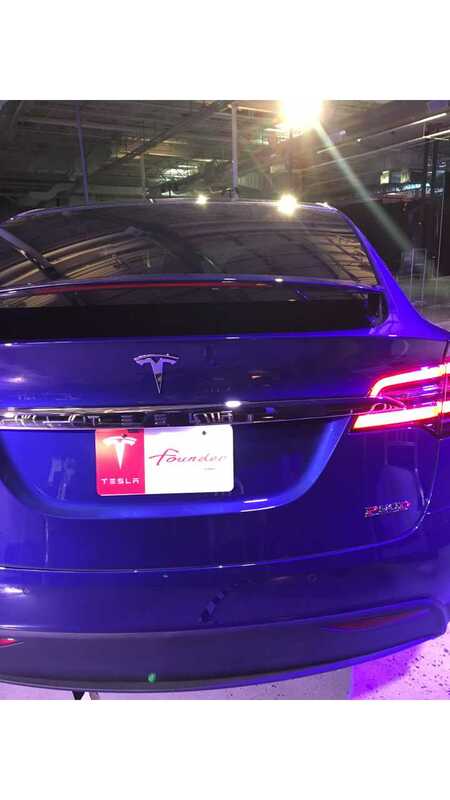 I have to say that the cars have been consistently reliable and flawless - quite an accomplishment for early serial numbers of ANY new product! The delivery of the X was a truly wonderful experience. Backstage, we got our new owner orientation and some time to drool over this amazing vehicle. The Tesla team was awesome - making every moment a joy before the event kicked off. We met engineers, service techs, execs and events team who answered lots of "inside baseball" questions. To my wonderful surprise, my friend of 30+ years, Mark Tebbe, was there to receive VIN5! That was one of the best moments of the evening, since we hadn't seen each other in 15 years. Tesla gave me dealer plates so I could drive the car in California before shipping it to my home in Florida - about a week before Thanksgiving. The Tesla West Palm Beach team did a great job with the delivery. We loaded up and did a road trip to Raleigh from South Florida. The supercharger experience was great! Every Tesla owner you meet there has a fabulous set of stories to share - and great travel tips. The superchargers are well-located and I got 350 mph charging at a couple of them. I dropped in on the Tesla Raleigh team so they could touch the excitement. I also visited my alma mater - NC State College of Design - and let students check it out. Our hotel - The Umstead - is a member of the Tesla Destinations program. Universally, this car has a magnetic personality. I have to admit that I like it better than my Model S. In the fossil fuel world, I like the Porsche Cayenne over the Panamera for the same reason - it's a sports car, a sedan, and an SUV. The multi-purpose aspect of the X is stunning. The storage space is amazing. 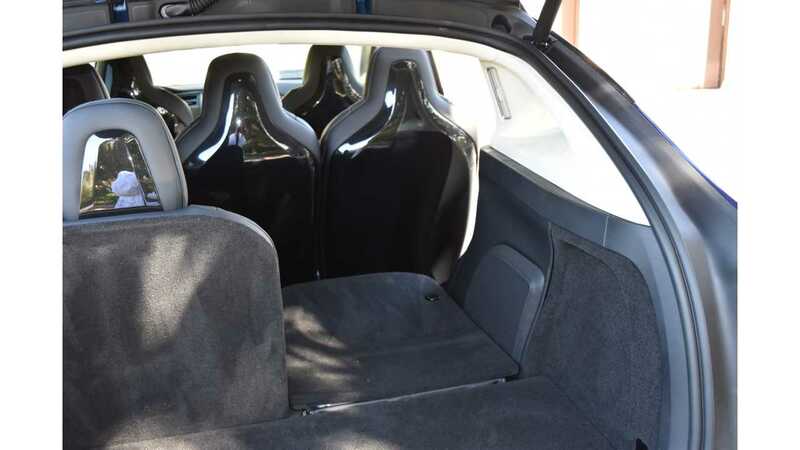 In fact, the deep trunk allows two of the 34" rolling luggage pieces to stand side-by-side! Add the folding third row, it far exceeds SUVs of similar size. The underseat space is great - more comfortable for passengers and added space for storage. The seats are by far the best of any vehicle I've owned - design, comfort and function. And, I love how the middle row sets tilt and slide. From a quality perspective, you'd think VIN 3 would have issues. It was likely "hand built" on the production line, and it's been almost flawless. Sometimes, the Falcon Wings pause when opening - taking a failsafe approach to avoid striking anything. I like the false-positive approach - especially as the sonar in the doors gets more sophisticated over time. As Elon said, it's FAST! Ludicrous mode makes acceleration from 30 mph just like at 0 mph! Smooth, continuous, multi-G acceleration - pure joy at the tip of your foot! I've recently been through the factory and there are X's being assembled in various stages throughout. I know so many are waiting with great anticipation and some impatience. I don't blame you but feel sure you'll find it worth the wait. I remember my roadster being postponed several times, waiting 3-4 years for it.  The priority being placed around quality of the product and ownership experience is second to none. That takes time and tremendous attention to detail. Tesla is amazing at that. The deliveries are picking up some momentum from what I understand. So, keep the faith!